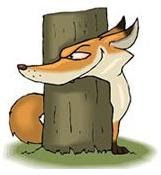 The Sly Fox Film Reviews: Whose Streets? 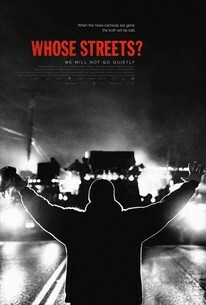 Co-directed by Damon Davis and Sabaah Folayan, Whose Streets? is an incendiary documentary which revisits the tragedy in partisan fashion, arguing entirely in favor of Brown's innocence while conveniently ignoring the mountain of evidence which ultimately exonerated Wilson. Granted, this provocative polemic might serve as a Black Lives Matter recruiting tool, but it is likely to be of little value to any truth seeker interested in an impartial investigation. After all, there was video proof that Brown and Dorian Johnson had robbed a convenience store just 3 minutes before the encounter with Wilson who was summoned to the scene by a police dispatcher. Furthermore, the county, federal and independent autopsies corroborated the cop's story while simultaneously refuting Johnson's claim that his accomplice had been shot in the back and with his hands up. After an exhaustive investigation by the U.S. Department of Justice, even Attorney General Eric Holder concluded that Wilson was innocent. So, what's dismaying about Whose Streets? is how its presentation of a thief as an altar boy flies in the face of Dr. Martin Luther King's appeal that black people be judged not by the color of their skin but by the content of their character. Why make Mike Brown the poster child for the Black Lives Matter movement, when there are so many martyrs far more deserving, like Trayvon Martin, Jordan Davis and Tamir Rice, to name a few?